KANSAS CITY, Mo. — With more ways to get around the city — from the streetcar to electric scooters and electric bikes — Kansas City is about to launch a pilot program to study the increasing transportation options for a full year. From now until Feb. 12, the city is accepting proposals to participate in a pilot program for electric scooters, e-bikes and other forms of shared transportation. The data gathered from the program could be used to change city code. 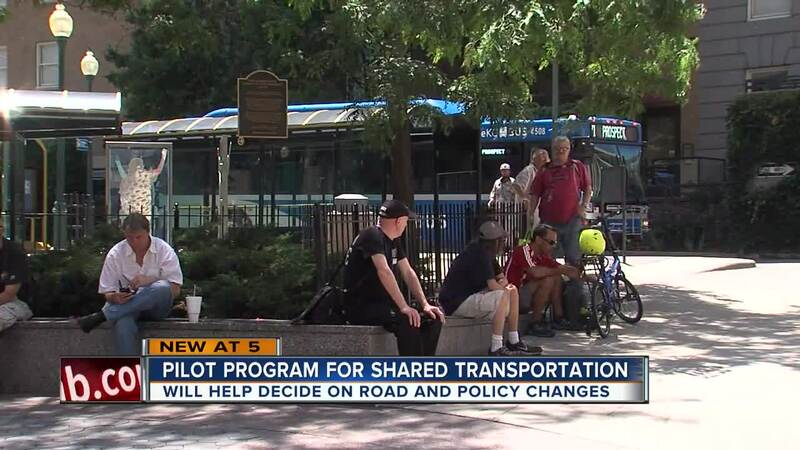 The goals of the pilot program are to make permitting and licensing easier for companies to set up shop in Kansas City, create a standard framework for the rules and regulations of the scooters and bikes, and influence the implementation of the new BikeKC plan. "That will enable us to prioritize where we need to build more bike lanes, making sure we are satisfying the social equity goals, making sure they are serving all neighborhoods in the city, as well as determine any long-term policy changes that are needed," KCMO communications director Chris Hernandez said. Currently, scooter companies Bird and Lime are on an interim agreement with the city. Hernandez said they can apply to be a part of the pilot program as well. "Having it operate for an entire year means that we get to see the operations in all four seasons," Hernandez said. "We are a multi-season city. We want to make sure we see how they operate in all four seasons, as well as in any special events or emergency crisis times." Kansas City Area Transportation Authority President and CEO Robbie Makinen said he noticed more people are using public transit and believes these new modes of transportation helps the KCATA's goal. "The more options and access you have to different modes, the more apt you are to use public transit," Makinen said. With the surge in popularity of the scooters and e-bikes nationally, Makinen believes this is just the tip of the iceberg when it comes to public transportation. "You're talking about a streetcar extension, you're talking about autonomous vehicles, you're talking about technology changing every six months, for gosh sake," he said. "What we have to do as a city and as a transit authority is be ready for those changes, and that's what we're doing now." The request for proposals is the first step in the pilot program. Proposals are due Feb. 12, and the program is expected to launch in spring 2019.